The basic principle behind air shocks for trucks is that they should provide good support whether that is on a bumpy road, or even leaving the track to go through the fields. Off-roading is no longer the remote sport that it once was, and more and more people are joining in with this activity. This is why a good airbag suspension system has gained in popularity, and there are more demands for air shocks than ever before. The new suspension parts replace old coil springs, and the airbags are fitted directly into their place. Other suspensions need a little bit more work, and both torsion and leaf-spring kits cannot use the air struts yet. The reasons why air shocks have replaced the standard shocks for trucks is simple. They have a great deal more power, and can provide much better performance for the vehicle in question. Air pressure increases the comfort and smooth feel of the drive, but also gives a sensation of firmness which most drivers find enjoyable after the slack coil spring suspension and difficult shock absorbers. In addition, most types of air absorbers compress with movement, getting firm, and it is also possible to get adjustable air shocks in order to provide exactly the right amount of support for the vehicle. 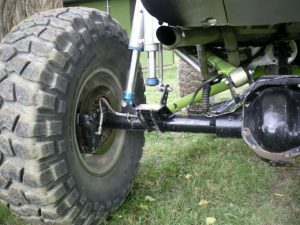 In a sense, these suspension parts allow more control and more choices for the driver, placing him back in a position of power within his vehicle. The other important element for most air ride shocks is their ability to support a more substantial load. They were originally used for this purpose, installed into Heavy Goods Vehicles and other large trucks. They are no longer used solely for this purpose, but the intention behind them remains strong. In fact, the larger cars, such as SUVs, will have them installed as a factory fitting. As more people use the air shocks on a regular basis, so they have become more acceptable in daily life. air shock pump will make sure that the airbags are always full, and are an important tool after the first fitting to get the suspension exactly right. The amount of air in the shocks can affect the driving, as well as the balance of the car, but correct fitting, plus pumping, will ensure that these devices are fitting well, and working to provide a comfortable, high-performance ride.